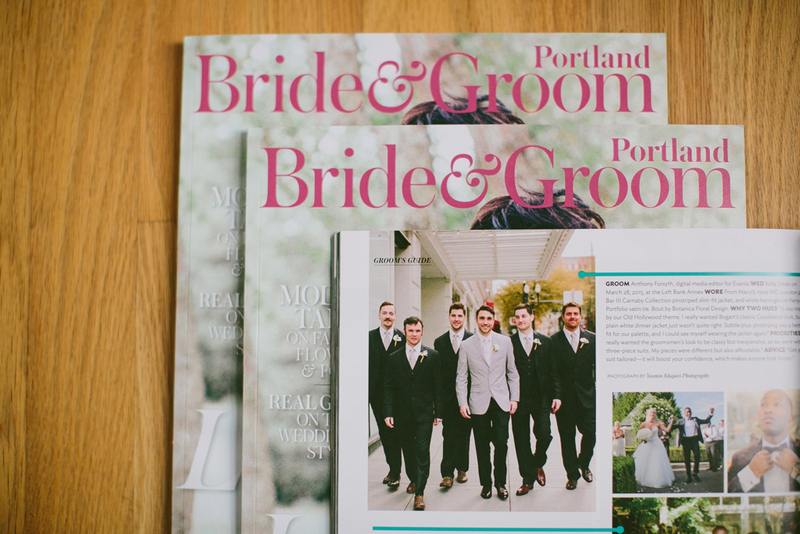 I love Portland Bride & Groom magazine! It’s always so excited and such a great honor to have some of my photos published in their magazine! 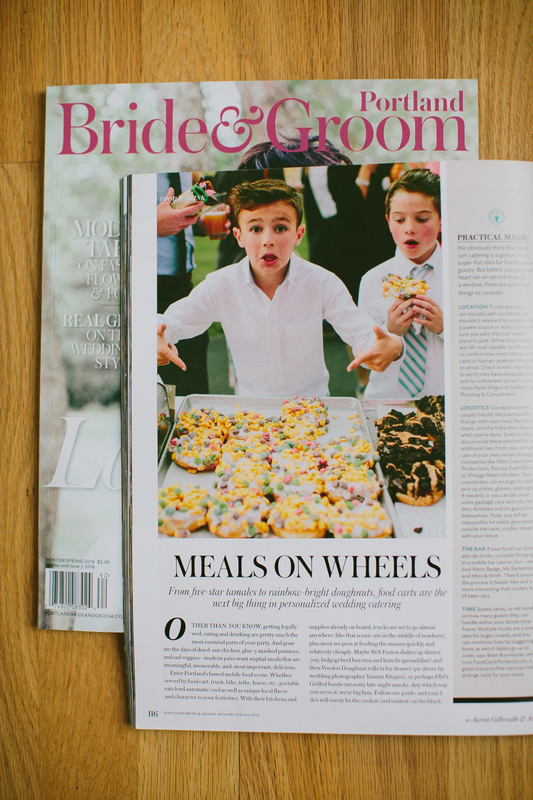 The current issue has one of my groom’s featured for their groom style guide, and another featuring food carts at weddings. Tony was featured for the awesome suit he wore for his amazing 1920’s themed wedding. And this little guy was pretty stoked when Voodoo Doughnuts pulled up in their pink van and set up trays upon trays of their delicious doughnuts!